There aren’t many sandwiches popular enough to have their very own National Day of recognition and celebration, but Grilled Cheese is one of them, and there are several great reasons why. 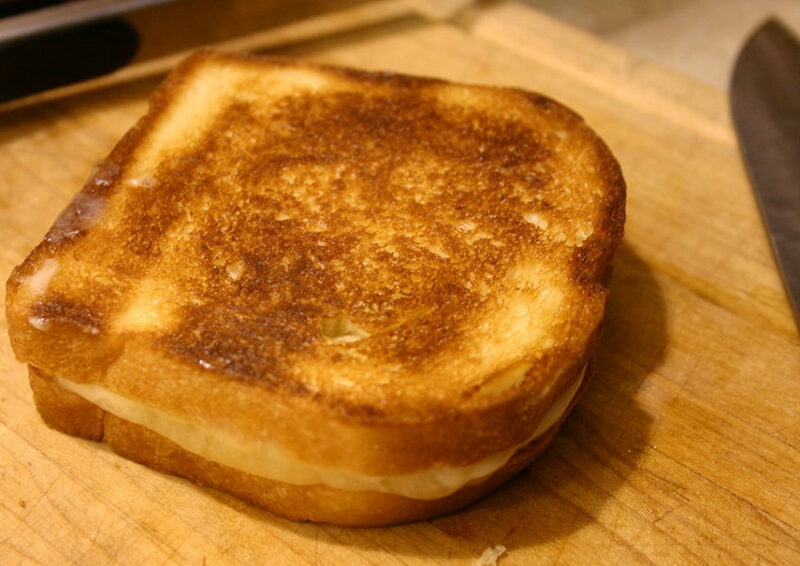 Grilled Cheese sandwiches serve as one of the ultimate comfort foods, with origins in the 1920s when inexpensive sliced bread and American cheese became easily available in the United States. Originally it was made as an open-faced sandwich, with variations evolving through the years. Luckily for residents at The Retreat at Mountain Brook, the penultimate grilled cheese sandwich (or two), is available within a few short minutes away at one of Birmingham’s trendiest, hip restaurants, MELT Avondale and MELT Food Truck, affectionately known as Matilda. Located in the revitalized neighborhood of Avondale, near downtown Birmingham, MELT offers what has been deemed as the “Best Grilled Cheese” by numerous reviewers on TripAdvisor. MELT was also selected by food publication and online resource Spoon University as the number one restaurant in Alabama to eat the best grilled cheese. MELT is owned by Harriet Despinakis and Paget Pizitz are the owners of Melt Avondale and Melt Food Truck. Birmingham Breadworks, where you can pair a grilled cheese sandwich with their fresh vegetarian-friendly cream of tomato soup featuring crushed tomatoes, smoked paprika and cream. Meanwhile, just a hop skip and a jump from The Retreat is Crestline Bagel on Church Street where you can order a twist on the classic sandwich, the restaurant’s Open Face Cheese Melt on the freshly made bagel of your choice, along with your choice of Swiss, Mozzarella, Cheddar, American or Pepper Jack. Or be creative and order a combination for over the top cheese flavor! Other restaurants known for their grilled cheese sandwiches include Paramount, located in downtown Birmingham, which offers a gourmet-style sandwich featuring a blend of gouda, goat cheese, mozzarella, and sundried tomatoes for a mouthful to exquisite tastes. Go for the grilled cheese sandwich, but hang around to enjoy the variety of more than 20 classic and modern arcade games and local brews on tap. Of course, residents of The Retreat may want to prepare your own custom creation in our beautifully appointed updated kitchens featuring espresso cabinetry and designer plank flooring. Position yourself in your home sweet home and try this recipe for the Ultimate Grilled Cheese courtesy of Ina Garten, the Barefoot Contessa. So, no matter what day of the year it may be, it’s always a great day to enjoy a grilled cheese sandwich, no matter what combination of cheeses you may prefer. So, this Friday, April 12, enjoy, but don’t forget, grilled cheeses are a perfect comfort food enjoyable anytime of the year!